The Difference Jesus Makes | H.B. Charles Jr. 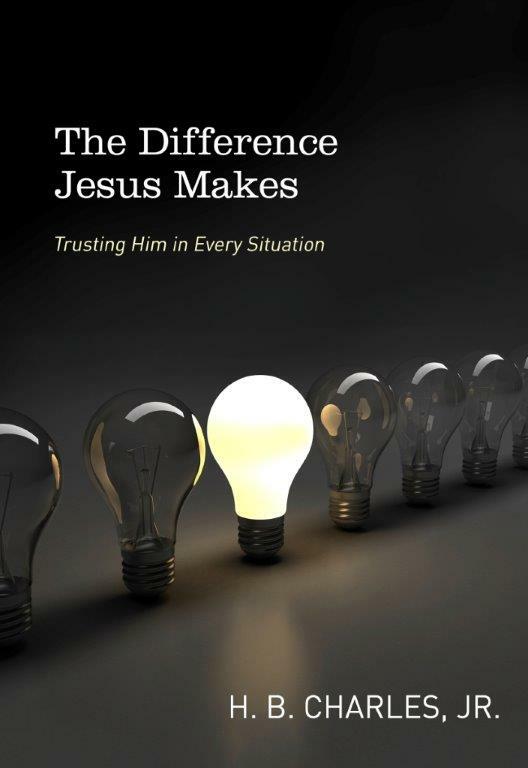 I am pleased to announce the publication of my new book, The Difference Jesus Makes: Trusting Him in Every Situation (Moody Publishers). I am excited about this book for several reasons. First of all, this book simply retells and explains Bible stories. I believe we need more good books on Christian doctrine. But the Bible most often teaches truth through stories, not systems. Our generation suffers from biblical illiteracy. And I believe a reintroduction to the stories of the Bible is a big step toward revival. Furthermore, the stories in The Difference Jesus Makes are about the Lord Jesus Christ. What better subject is there to write or read about? The stories are recorded in the Gospel of Mark, with a focus on the miracles Jesus performs in Mark 4-5. Jesus calms a storm at sea that no one could navigate. Jesus delivers a demon-possessed man who no one could tame. Jesus heals a chronically sick woman who no one could heal. And Jesus raises a dead little girl who no one could save. These miracles are signs that point to the true identity of Jesus. Jesus is more than a rabbi, prophet, or even a wonder-worker, for that matter. He is God in the flesh. Jesus is the Omnipotent One who has sovereign authority and supernatural power over all creation. He is Lord over nature. He is Lord over demons. He is Lord over sickness. He is Lord over death. He is Lord of all. Jesus can calm storms, conquer evil, heal sickness, and defeat death. There is nothing too hard for him. The one who reigns over nature, demons, sickness, and death is more than able to make the difference in your life. He can clear your past. He can conquer your problems. And he can change your personality. You can trust Jesus when you are engulfed in a raging storm. You can trust Jesus when you are bound by evil that will not let you go. You can trust Jesus when the doctors announce they have done everything they can do to help you. You can trust Jesus when you are facing a dead-end crowded with impossibility. You can trust Jesus when you have overwhelming needs and limited resources. Jesus is able to make the difference in your life. You must trust him. But that’s the simple part. He has proven over and over that he is worthy of you trust. Bring your burdens of your life to him. And then stand back and watch him make the difference! I urge you to pick up a copy of The Difference Jesus Makes. Your mind will be renewed and your heart will be refreshed. And share a copy with a friend who needs Jesus to make the difference.